The department now has 23 beds with two more expected to be added in the next few months. Loma Linda University Medical Center – Murrieta unveiled five new treatment rooms — also known as “flex care spaces” — in its emergency department on Monday, June 19, a move that will help meet growing demand for emergency services at the hospital. The Emergency Department currently provides care to more than 130 patients per day, or more than 45,000 patients per year. With the five new treatment areas, the department now has 23 beds. Two more are expected to be added in the next few months. Jared Horricks, MBA, executive director of facilities management, said the hospital has experienced significant year-over-year increases in Emergency Department visits since the hospital’s opening in 2011. In response to the community’s need for local health care services, Murrieta added the five new treatment areas, along with other emergency medicine service enhancements. Horricks thanked several individuals for playing key roles in seeing the project through to completion: Kristin Butler, BSN, RN, manager of emergency services; Linda Soubirous, MSN, MPA, RN, chief nursing officer; Kevin Flaig, MD, medical director of emergency services; Chad Youngquist, construction manager; Sebastian Ortiz, project engineer; Rene Tovar, MSN, executive director of outpatient services; the entire emergency department staff and physicians; and Mascari Warner Architects. 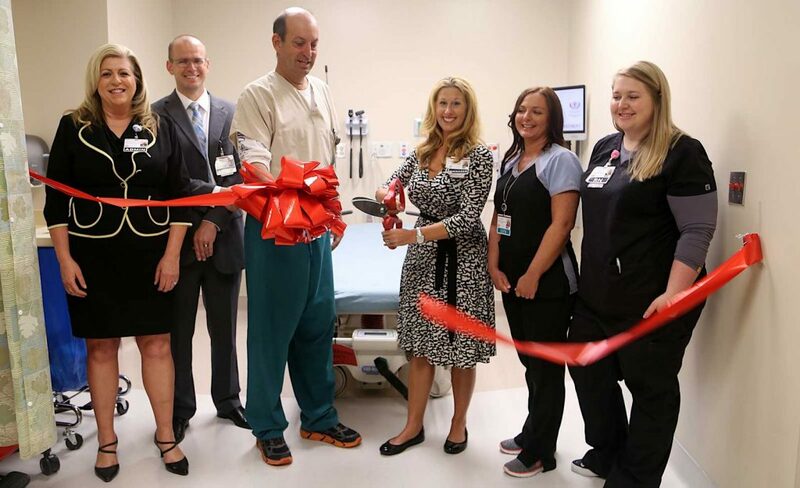 PHOTO CAPTION: Officials of Loma Linda University Medical Center – Murrieta cut the ribbon on one of the five new emergency department treatment rooms on Monday, June 19. From left, Linda Soubirous, MSN, MPA, RN, chief nursing officer; Jared Horricks, MBA, executive director of facilities management; Kevin Flaig, MD, medical director of emergency services; Kristin Butler, BSN, RN, manager of emergency services; Andrea Bolton, LVN; and Sarah Wallencheck, RN.